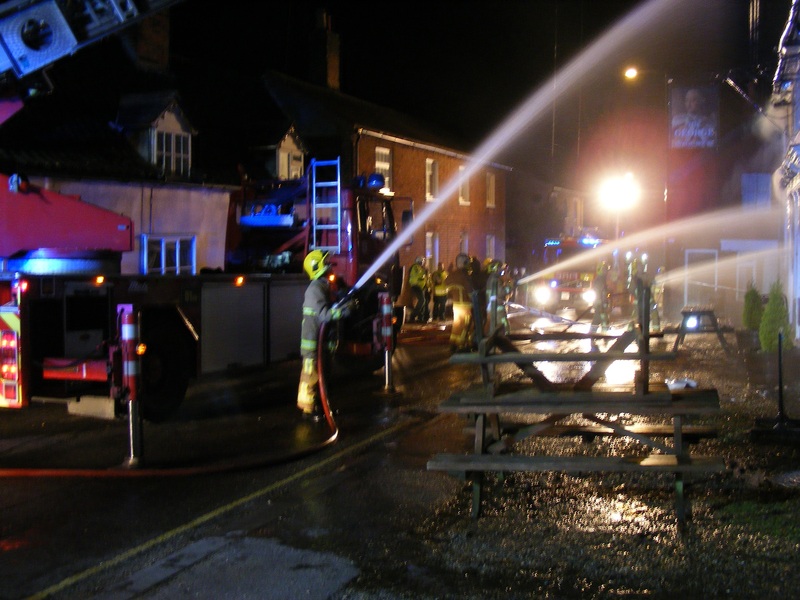 Following the devastating fire (recorded by the Fire Brigade as suspected arson), apart from initial clearance and the erection of supporting scaffolding, the then owners, Punch Taverns, made no further efforts to reconstruct the pub, considering it not viable. In October 2014, the site was purchased at auction by Montague Investments, a commercial property developer for £62,000, plus VAT. Ownership was subsequently transferred to a subsidiary, Spencer Valentine Limited. The state of the building has remained unchanged ever since and it continues to deteriorate. 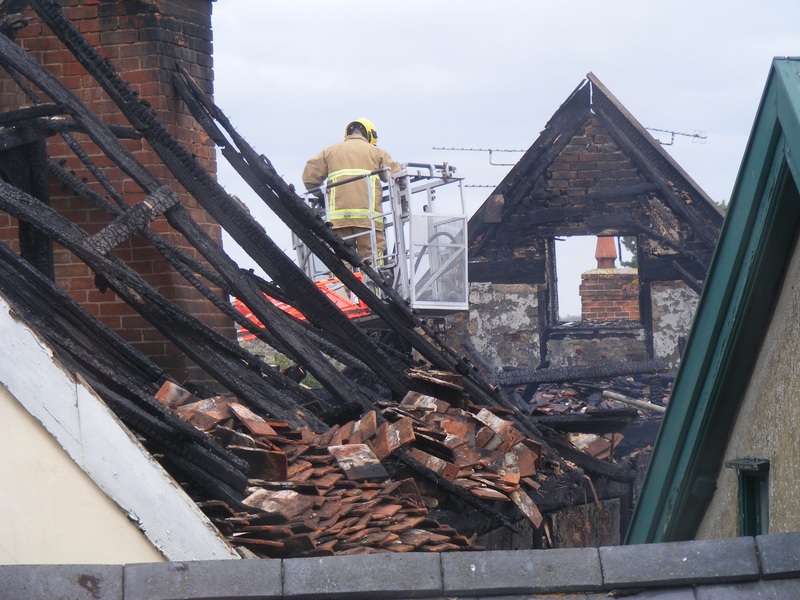 As prospects for the site were uncertain and it appeared that it would remain an unsightly blemish upon Wickham Market for the foreseeable future, a public meeting was called by the Parish Council, on 22 April 2016. Attended by 209 people and representatives of the District Council, its purpose was a general consultation on the community's wishes with regard to the George. 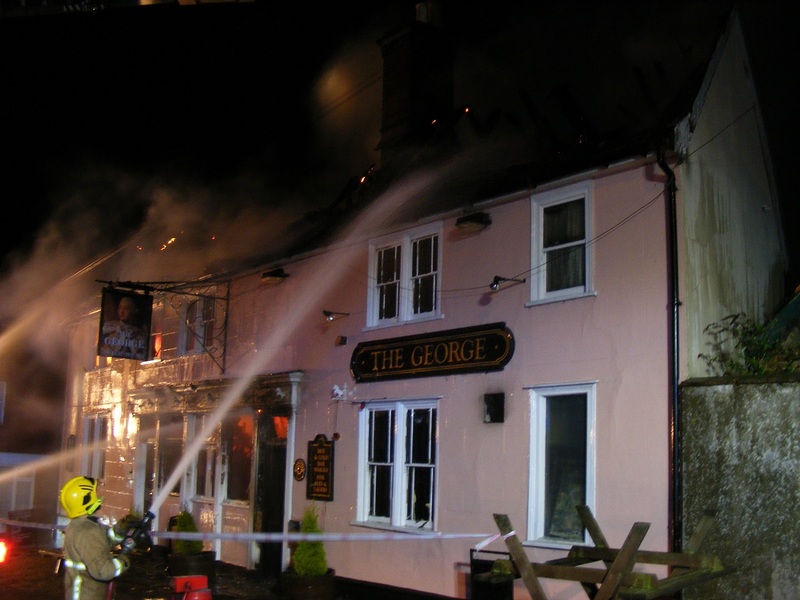 Although no count was taken there was overwhelming support for retention of a pub in the village and reconstruction of The George. 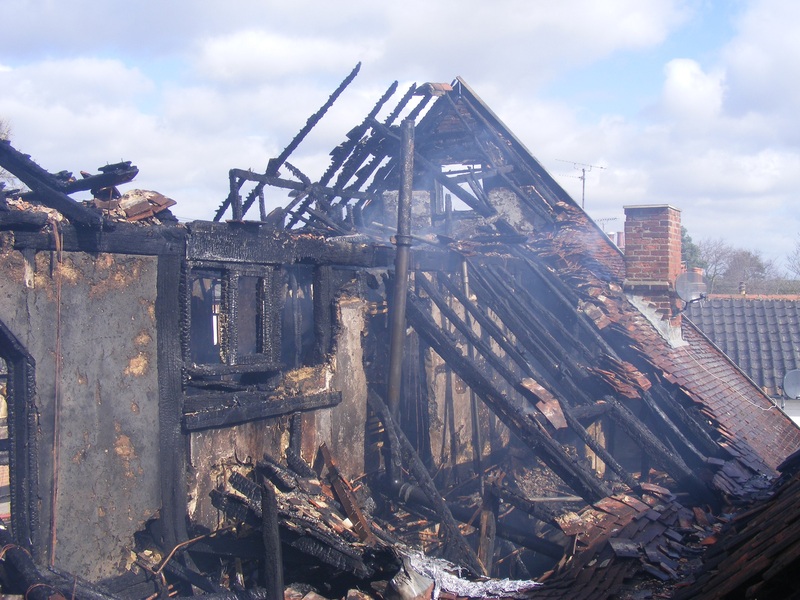 Following a failed planning application for the site, which included demolition of the surviving historic structure, from the owner, a second public meeting was held on 29 July 2016. 71 members of the public attended and a vote showed 69 in favour of rejection of the application with support strongly expressed for the community to consider taking ownership. 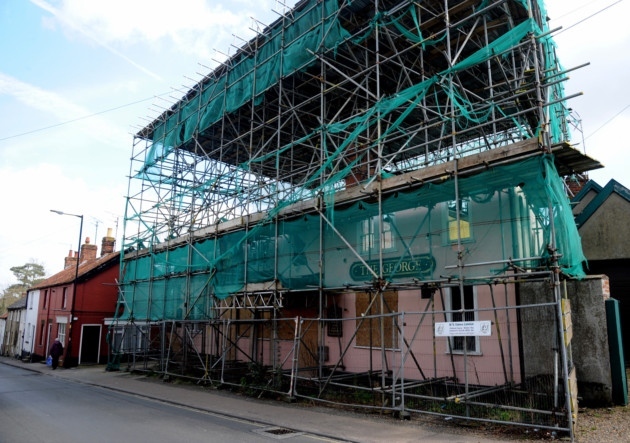 To carry this forward, seven villagers volunteered at the meeting and an enlarged group of 13 volunteers met on 8 August 2016 as The George Community Pub Project Group and resolved to take the next steps towards community ownership. 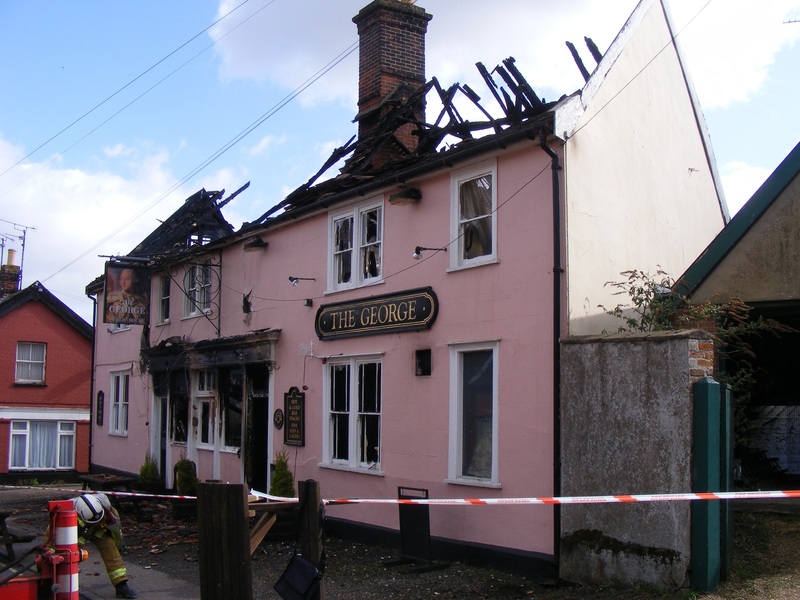 After the rejection of the planning application in September 2016, on the grounds that the demolition of the significant surviving heritage assets was not acceptable or justifiable, the Group’s work began in earnest in order to prepare for, and obtain funding for, a feasibility study for the reconstruction and operation of the George as a community-owned public house. Having obtained advisory support and, subsequently, a 'More Than A Pub' bursary, from the Plunkett Foundation the group was re-constituted as the management committee of a Community Benefit Society in December 2016 and officers elected. 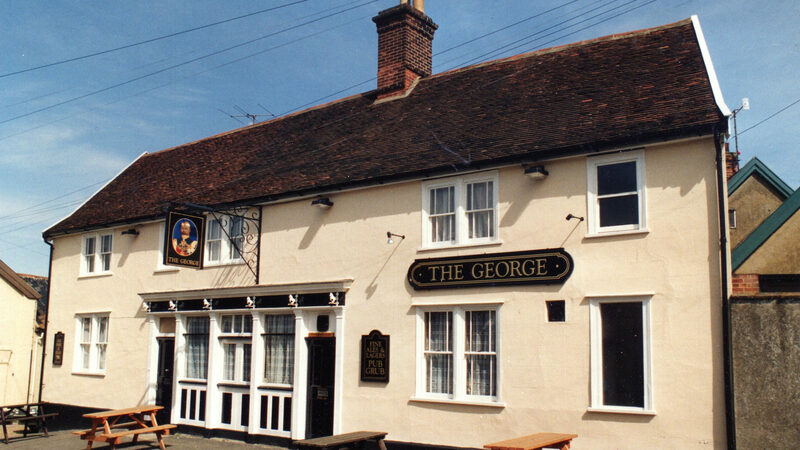 As a Community Benefit Society, The George Community Pub (Wickham Market) Ltd will allow individuals in the community to have a democratic stake in a key community enterprise and will engage in other village activities with a view to re-investing any surplus for the benefit of the Social Enterprise, the community and stakeholders. The Management Committee meet on a monthly basis and, as the of the end of August 2017, members have already contributed well over 1000 recorded hours of voluntary work.